Join S.O.S. Freedom Team - Support Our Soldiers Freedom, Inc.
Join the S.O.S. Freedom Team for FREE and make a difference in the lives of active duty military and veterans all year! S.O.S. Freedom Team members range from casual walkers to marathon runners. As a member, you will be notified of events that will have other teammates participating. We’ll also provide you with a time and place to meet up with other participants. If you are the first team member to register for an event, please send an email to freedomrun@esssencepilates.com. We encourage you to wear your S.O.S. Freedom, Inc. shirt and hold an S.O.S. Freedom, Inc. online fundraiser through Razoo or your favorite fundraising site when you participate in a run/race. Part of S.O.S. 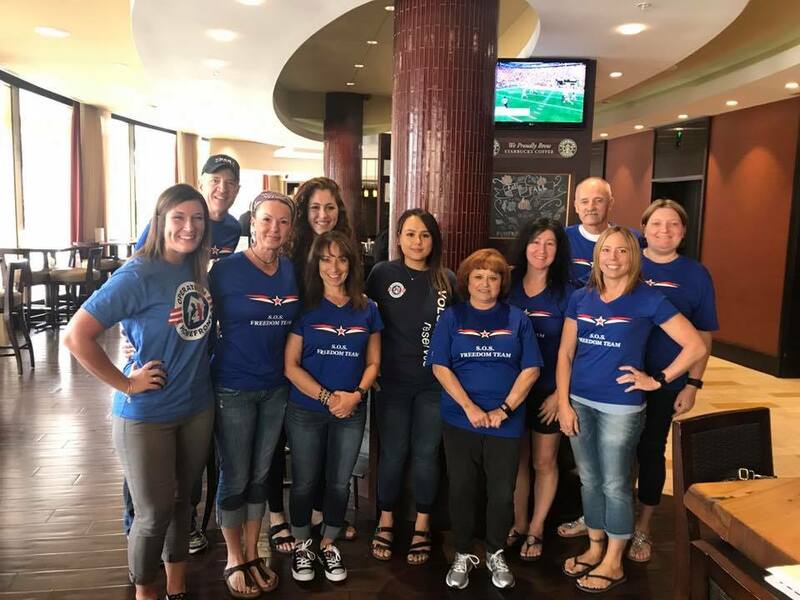 Freedom Team meeting before the Marine Corps Marathon in Washington D.C.
What types of events do you attend 5K 10K Half Marathon Marathon Ultramarathon All None-just want to be a member of the team!